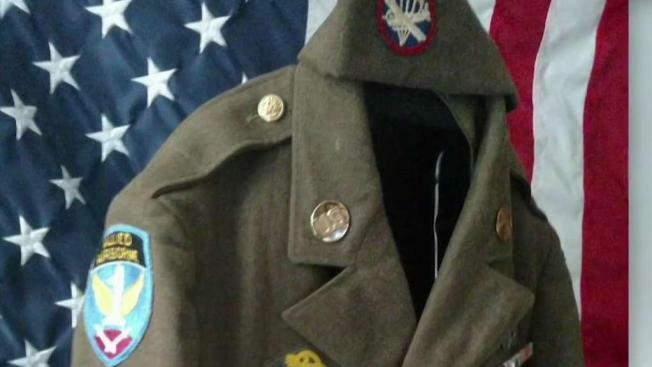 A Massachusetts daughter and granddaughter have been reunited with the World War II uniform of their loved one. A Massachusetts woman has been given a remarkable gift from a stranger: her late father's World War II uniform. Before the uniform was found, the only possessions Marcia Salamon had of her father, Stanley Kawa were his dog tags, an army ring, a photo, and the engagement ring he gave his wife. Salamon never met her father. He died from cancer in July 1950, a few months before she was born. Kawa's wife, Salamon's mother, found the memory too painful to talk about after he passed away at 31-years-old. “People back then just didn’t talk about deceased members of the family,” said Salamon. Stanley Kawa has been a mystery for years. Salamon and her daughter, Michelle Sanchez say they both wish they had asked more questions about him before his wife passed away. But a new thread of information has unraveled a little bit of his mystery for the family by way of an e-mail to Sanchez this past spring. “Someone had my grandfather’s World War II uniform and wanted to return it to me,” said Sanchez. Charles Kirkland, a war memorabilia enthusiast from Fort Mill, South Carolina, found Kawa’s uniform for sale on eBay. The uniform which was identified as Kawa’s by the laundry tag will be presented to the family at a ceremony at Amesbury City Hall on July 14. The ceremony will be conducted by Greg Lynch, New Hampshire VFW Quartermaster, who has been in possession of the uniform since being contacted by Kirkland. The uniform is still in pristine condition. “We found out he was a purple heart recipient which we did not know and it shows that on the lapel,” said Sanchez. The laundry tags on the uniforms have the first letter of the soldier’s last name and the last four digits of their enlistment number. Kirkland searched the WWII enlistment archives to find Stanley’s name and learned he was in the Regimental Headquarters Company of the 504th Parachute Infantry Regiment of the 82nd Airborne Division. “It’s a big circle that’s coming around and you are finding out things that you would have never known if this had not happened,” said Salamon. Kawa’s infantry regiment was one of the first troops to land in the Netherlands as part of the operation Market Garden, the largest airborne operation in history at the time. Salamon and Sanchez thought they lost their chance to find out more about Kawa years ago. “Maybe it’s a little message from above that he is still with us,” said Sanchez. Kawa was born on February 10, 1919, and passed away July 2, 1950. He was laid to rest at Saint Aloysius Cemetery in Springfield, Massachusetts. “It’s seeing a part of his life that I never knew that I was never a part of and it’s just amazing,” said Salamon. At the upcoming ceremony, the family said they are expecting to receive a bronze star that he never received for his heroic actions in combat.